This graphic film by 3M is primarily used for large wall murals, providing easy installation and reliable adhesion. DigiMag is a flexible magnetic sheeting available with a variety of high quality laminates. The most frequently used laminates are vinyls or adhesives, depending on the required function of the magnet. DigiMag also works in conjunction with Flexiron Magnet Receptive Sheeting. 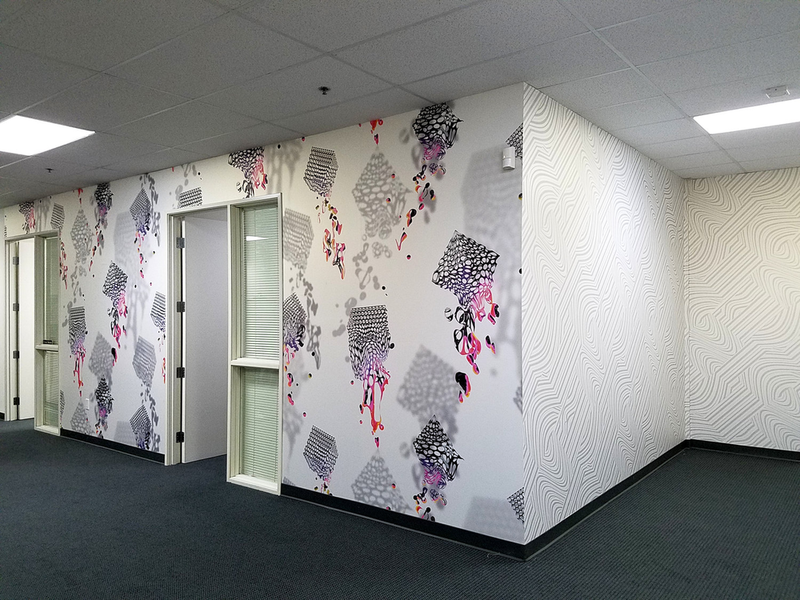 PrestoTex is a 7 mil removable and re-position-able adhesive-backed polyester fabric designed primarily for printing interior wall murals. PrestoTex provides a beautiful and durable finish to your graphic and will not peel paint or damage walls. This re-position-able adhesive-backed wall covering has the same easy release micro-sphere adhesive that makes it a favorite of installers across the country.